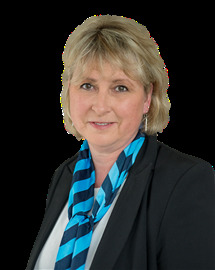 Andrea is an integral part of the Harcourts Kevin Deane Real Estate Limited Group of companies. Andrea oversees the overall administration of the business, having had a successful career in banking prior to joining Kevin in the real estate industry. Out of the office Andrea enjoys time with her two children, Jack and Ellie, as well as cycling and playing squash. Kevin is a well established and respected Rural Real Estate Consultant within the Waikato region. During Kevin’s twelve years in the real estate industry he has developed a reputation for being down to earth when dealing with real estate matters. A lot of this practical point of difference comes as a result of Kevins background in dairy farming, his vocation prior to entering the Real Estate industry. This ensures that Kevins clients, both buyers and sellers alike should feel confident that their Real Estate transaction is being managed by someone who understands the rural sector. 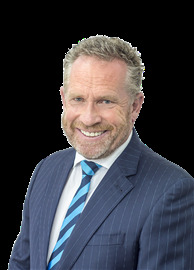 In April 2002 Kevin along with his wife Andrea assumed ownership of the Morrinsville Harcourts office. Kevin and Andrea also have purchased the Harcourts offices in Cambridge in 2005, Ngaruawahia in 2006 and now Matamata in 2007 to give clients a greater spread of service. Commitment, energy and enthusiasm are all important prerequisites and coupled with his nine years of dairy farming in the Central Waikato region Kevin believes that he is well balanced to help people considering a rural real estate move. 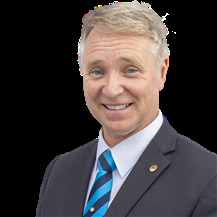 With Kevin Deane Real Estate Ltd being part of the nationwide Harcourts Real Estate Group, Kevin is well equipped to help buyers and sellers achieve their goals and looks forward to being of service to you. Prior to joining Harcourts Bevan has spent his entire working life on the land. Firstly in Dairy Farming and latterly combining Drystock Farming with breeding thoroughbreds from his Stud Farm in Cambridge. His experience in these fields and his local knowledge has proved to be a major advantage to people purchasing real estate, in any of those areas with several prominent properties having been brokered by Bevan. Bevan has a relaxed personality and people will find him easy to relate to. He is an upfront person who will be able to provide the information you will require. BEVAN WILL PROVIDE Integrity. Consistency. Reliability. Honesty. If these are the qualities you are looking for in a Realty Sales Consultant then give Bevan a call. Briony's enthusiasm for Real Estate has come from her personal experience of buying, renovating to add value, and selling property. She has spent 15 years in the Hospitality industry so understand what service is and will apply that to selling your property with as much dedication, passion and energy that she can. Briony's empathy for others enables her to build a rapport with her clients and establish the trust that is required when dealing with one of your biggest assets. She thrive's on hard work and with her positive, outgoing personalilty she will strive to achieve exceptional service with exceptional results. 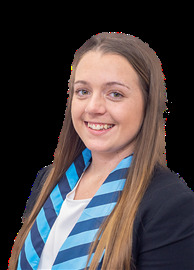 Briony looks forward to working for you, so give her a call 027 254 7020 for a Free Market Appraisal. Debbie Towers entered the Real Estate Industry with a wide variety of skills which have contributed greatly to her success in the Industry. 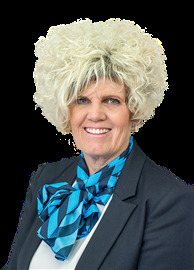 She has been consistently in the Top 5 for Harcourt's – Kevin Deane Real Estate for the last 6 years. Since starting her career in 2009, she has produced outstanding results in real estate sales. With over $45million in lifetimes sales and many Bronze, Silver and Gold Sales Awards this shows a true commitment to her trade. After successively holding the position of No. 1 in the Cambridge Office for 3 years, she steadily climbed the success charts and now holds the coveted title of No. 1 Salesperson for Kevin Deane Real Estate. Debbie’s achievements are the result of passion for the business, hard work and a good understanding of the industry . Debbie prides herself on good communication skills, and “keeping it real”. “Open honest communication is the best foundation for any relationship, but remember that at the end of the day its not what you say or what you do, but how you make people feel that matters”. Debbie believes that to give real service you must add something which cannot be bought or measured with money, and that is sincerity and integrity. 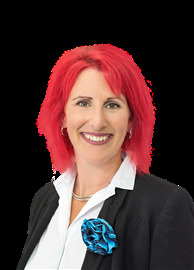 Over her time in the industry Debbie has built a solid referral business within the Harcourts network and also referrals from past and present clients. If knowledge, commitment and enthusiasm and a desire to get the job done is important to you in an agent then give Debbie a call. Dingding Liu was born in China and moved to New Zealand in 2005, and has been living in the Waikato since 2006. After spending about 12 years in printing industry, she is excited to move to Real Estate. Although recently licensed, Dingding is no stranger to the world of Real Estate as her husband has been a salesperson for several years, latterly with Harcourts. Dingding fully understands the commitment to clients and the nature of the job. She is a customer service oriented salesperson, with a friendly and focused work ethic, patience, perseverance, and a passion for helping people. 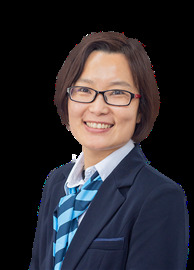 She is bi-lingual, speaking both English and Mandarin, giving her the ability to communicate with a wide range of people and looking forward to joining the Cambridge team. She looks forward to helping people realise their real estate dreams. Dingding will be working as a residential salesperson, so if you are considering a real estate decision Call Dingding today! Over the past 30 years, Graham’s occupations have involved Property and People. He has a passion for property and he has the drive, energy and commitment to succeed for his clients. Graham understands the challenge of bringing people and property together successfully. He has strong values based around work ethic, honesty, professionalism and trust. Graham was born and bred in the South Island and later gained a Bachelor of Commerce majoring in Valuation and Farm Management, from Lincoln University. This was followed by working in Te Kuiti and Tauranga for 5 years for the Valuation Department. It was during this time he achieved his Registered Valuer status. 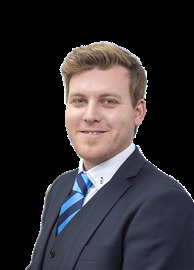 Graham has spent 10 years working for valuation firms valuing numerous types of properties in the greater Waikato district. 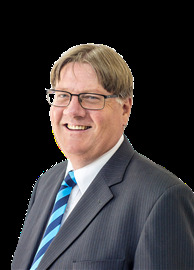 He has also spent 7 years working in the banking industry specialising in farm finance and most recently, working for Opus in acquiring land for public works, most notably for sections of the Waikato Expressway. Graham has lived on a lifestyle block in Tauwhare for over 15 years with his wife Linda and two daughters, and enjoys being part of a vibrant local community, having been involved in the Board of Trustees at the local school. Graham has many interests and hobbies including travelling, fishing and working with the family on his lifestyle block. Peter firmly believes that country living is best for a happy life and moved his young family to Cambridge for the quality of schools and the lifestyle. You can expect Peter to work hard and conscientiously for you with exceptional commitment to the details, and being an extremely creative person you can expect that something extra special from him. When you consider his family’s passion for the world of real estate, it’s hardly surprising that Sean Senior ended up starting his real estate career in 2003 at the tender age of 16. Originally from Buckinghamshire, England, Sean has sold real estate in the UK, France, Spain, Portugal, Australia, and in New Zealand since 2014. His energy, easy-going style, international experience, and extensive knowledge of the business of buying and selling houses gives his clients peace of mind when choosing Sean as their salesperson. “What I love most about my Real Estate career is meeting all the wonderful people I have had the opportunity to work with, and knowing that I am making a positive difference in their lives by assisting them with their move. I hold the responsibility of looking after what is normally my client’s greatest asset in the highest regard and continually work towards providing the ultimate real estate service”. Sean arrived in New Zealand in 2013, where he soon met his Cambridge born wife-to-be Stacey. The couple shared a few years in Auckland, where Sean sold real estate while Stacey completed her studies to become a dietitian. They have now returned to Cambridge to start the next chapter of their lives. When not selling homes, Sean enjoys entertaining with his wife, fishing with his father-in-law, and watching the national sports of his two beloved nations: rugby and soccer. 1/4 of a MILLION price drop! Secure in the best Street. Got a flair for opportunity? Better than New Family Home. New Year - New Home? Hurry to Make this Home Yours! Owners are ready to go now. Boxed up ready to go !!! Owners need to move to town! When Space & Location Count! A getaway from the city? Motivated Vendor - MUST SELL!